The popular Rouen duck breed is a small, beautiful bird. 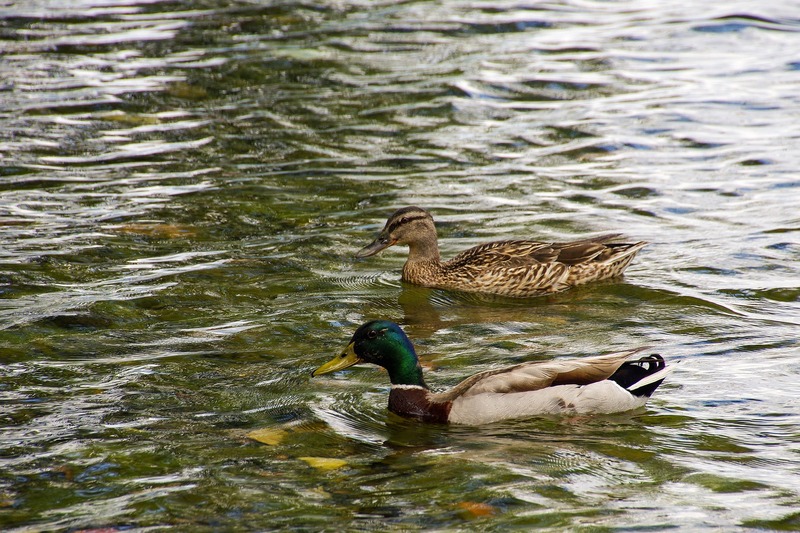 The Rouen duck may occasionally be confused with the Mallard duck due to the two duck breeds’ similarities in appearance and plumage. Rouen ducks are direct descendants of the Mallard duck breed, much like many other popular duck breeds. The Rouen duck was originally bred in France and was officially recognized by the American Standard over 30 years ago. Rouen ducks are great duck layers, laying up to 150 duck eggs every year. However, some Rouen duck strains are bred more for meat, causing egg production to drop. Ask the breeder for the specific qualities of the Rouen ducks you are buying. Adult Rouens weight 8 pounds (male drakes) and 7 pounds (female ducks). Unlike some duck breeds, Rouen ducks rarely fly. Rouen ducks are very self-sufficient and hardy when raised on pasture. The Rouen breed make excellent foragers, though their diet should still be supplemented with duck feed. Raising and Caring for Rouen Ducks: Rouen ducks are calm and not flight-prone. Rouen ducks can fed standard duck feed, though they also do well foraging on free-ranged pasture. If you wish to start brooding and hatching Rouen ducks, it takes 27 to 29 full days to hatch the average clutch of Rouen eggs. Rouen ducks are primarily raised for meat, and it is one of the most popular duck breeds raised for consumption. “Rouen Ducks,” Mr. Fowler states, ” are reared much the same as Aylesbury, but are not nearly so forward, rarely laying till February or March. They are very handsome, and will weigh eight or nine pounds each ; and, as a rude, do much better in most parts of England than the Aylesburys. Their flesh is excellent, and at Michaelmas is, I think, superior to the other. The back ought to be a rich greenish black quite up to the tail feathers, the curls in which are a rich dark green. Wings a greyish brown, with distinct purple and white ribbon-mark well developed. The flight-feathers must be grey and brown any approach to white in them is a fatal disqualification, not to be compensated by any other beauty or merit. Legs a rich orange. Nothing can exceed the beauty of a drake possessing the above colours in perfection.